I’m sitting on a bench in the Hartley YMCA Fitness Center and I’m covered in sweat having just finished working out. I’m wallowing in both oxygen and energy debt and should be making my way to the locker room and a shower, but I can’t seem to make myself rise for I am mesmerized by an interaction which is quietly taking placing across the room. There is a pretty, young girl, always accompanied by her mother, who is working out with my friend, Josh, a trainer at our Fitness Center. This young lady has been born with a condition that makes it hard for her to do things that you and I take for granted, but it doesn’t stop her. Josh is a serious and dedicated professional trainer whom I’ve often observed wearing out the young athletes he is training and preparing for their chosen sports. I’ve always admired his work ethic and his high standards which harken me back to trainers I worked with during my soccer career. However, on this afternoon, I am watching a different man, I am transfixed by his gentleness, compassion and his obvious affection for his young charge. Our High Point community’s capacity for good should not be overlooked. I’ve seen these two working together for months and I never fail to be genuinely touched by the bond I see between this mountain of a man and the tiny, very committed, young lady who is so dutifully responding to his instructions. I watch her mother as they work through their routine and she is beaming as she sees her daughter being loved and cared for by this gentle giant. She has the look all mothers have when they see their children becoming more confident and comfortable because of someone’s kindness and attention. Josh and the girl always seem to be smiling and talking quietly as he manipulates her limbs and helps her to stretch. I see pure, unadulterated joy in her bright eyes as she speaks and I’m imagining they are discussing her school, her friends and all those things that are so important in a young person’s life. I can literally feel her trust and confidence and the affection she has for Josh and I am overwhelmed by the awesome power of the human heart and the sheer goodness it can produce. Over the years I have written about the many forms of giving in this column and yet I don’t believe I’ve ever explored the impact that is created when we transform another life through simple acts of kindness, nurturing and, yes, love. As I watch Josh so significantly investing in this young girl’s life I can’t help but think that angels do indeed come in all shapes and sizes. In this world we live in today which too often seems so inundated with incivility, conflict and angst, I believe it takes someone like Josh to remind us of the tremendous capacity within each of us for good. His spirit and actions underscore the importance of taking the time to care for and respect one another, despite our differences. 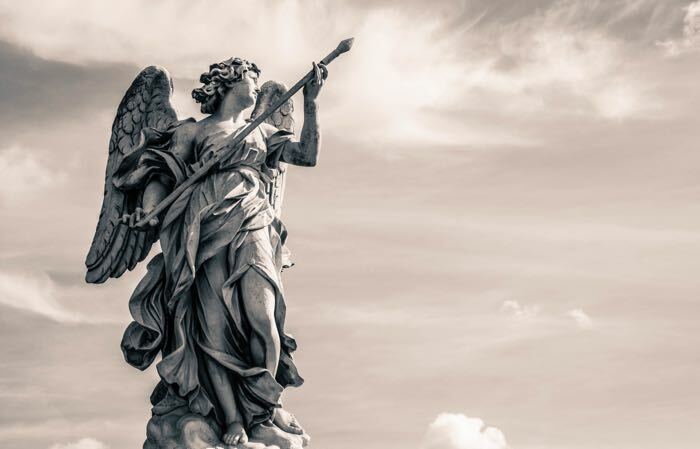 As a young child, my mother would often tell me that angels walked among us every single day, but we are so driven and consumed with ourselves we simply fail to see them. Well, I’ve found one working in the Fitness Center at the Hartley YMCA and I’ll bet, if you really pay attention you may find some in your world. Watch them at work and I guarantee it will forever alter your perspective on life and it just might change your vision of what real giving is all about.